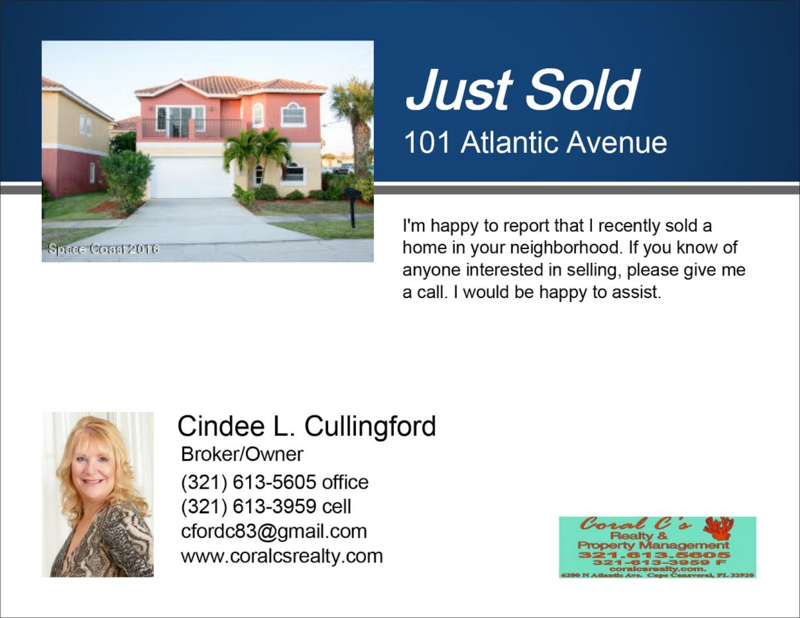 Just sold postcards are sent out by realtors after they make a sale of a home in the hopes of getting others in the area interested in becoming clients. The messages you select can help drive your leads, and combined with fantastic images, color, and style can make your postcards something people keep and respond to. Here are the top 25 just sold postcards, templates and tips you can use to dominate your farm area. 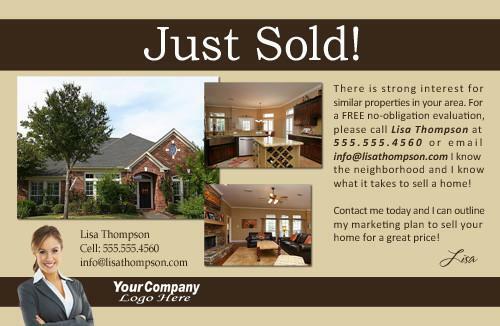 Just sold postcards that immediately show the value of using the agent can grab the attention of homeowners. Notice the use of local residences in the neighborhood that she uses as examples, and that they not only were under contract in seven days, but got the price they wanted. 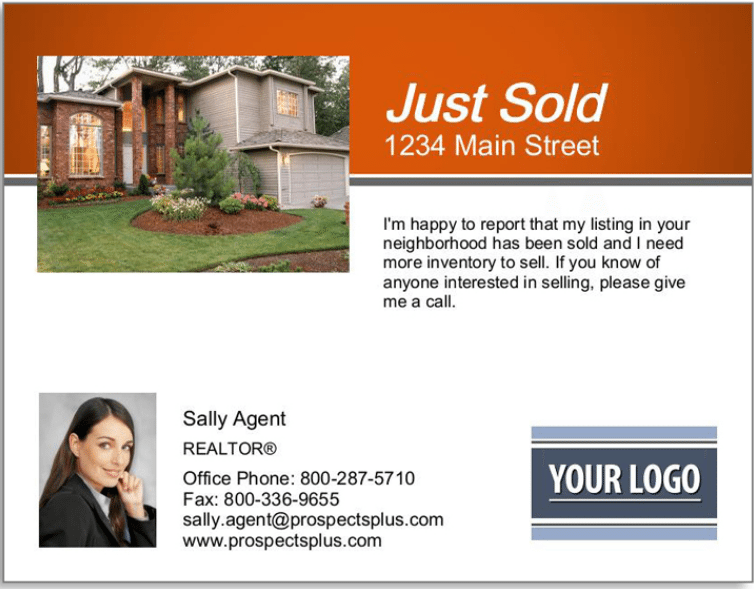 This postcard works because it immediately shows you the value of using this agent and was customized using a template from ProspectsPlus. 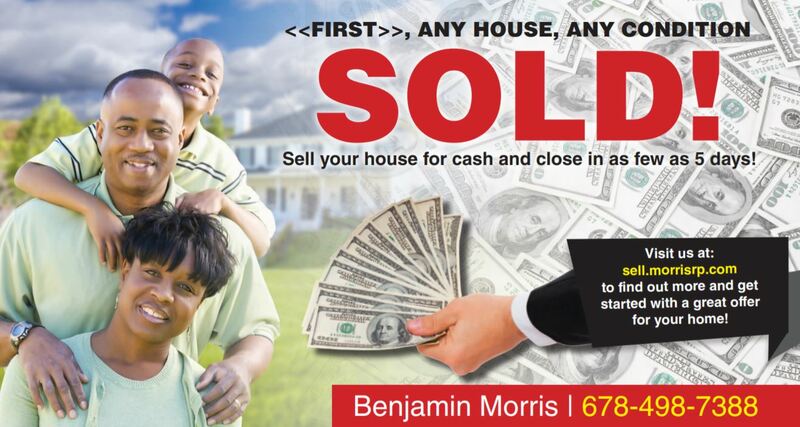 Sell your home in seven days or less? Yes please! Clearly this agent gets it done. 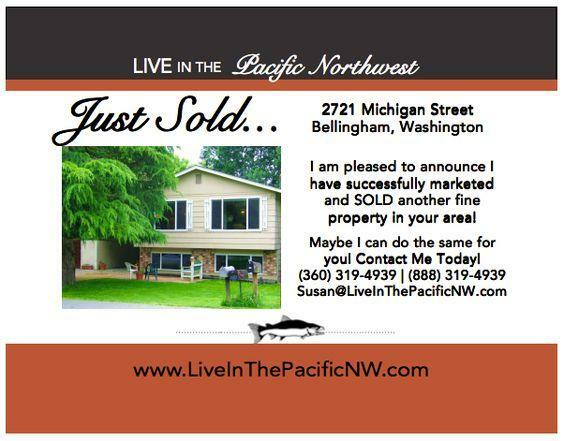 Just sold postcards are not the place to be shy, and this one works because it tells the homeowner what you can do. 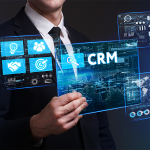 Getting 97 percent of the list price is solid work, and notice that this template allows you to place your name right under that impressive accomplishment. Homeowners want to list their home with someone who can get them a great price for their home, and if they see you doing it for others, they might just assume you can do it for them. If you’re interested in seeing a month-by-month analysis on the best times to buy and sell a home as well as the prices they sell for, check out our analysis here. The wording of just sold postcards matters, and this is a great use of using limited words to great effect. 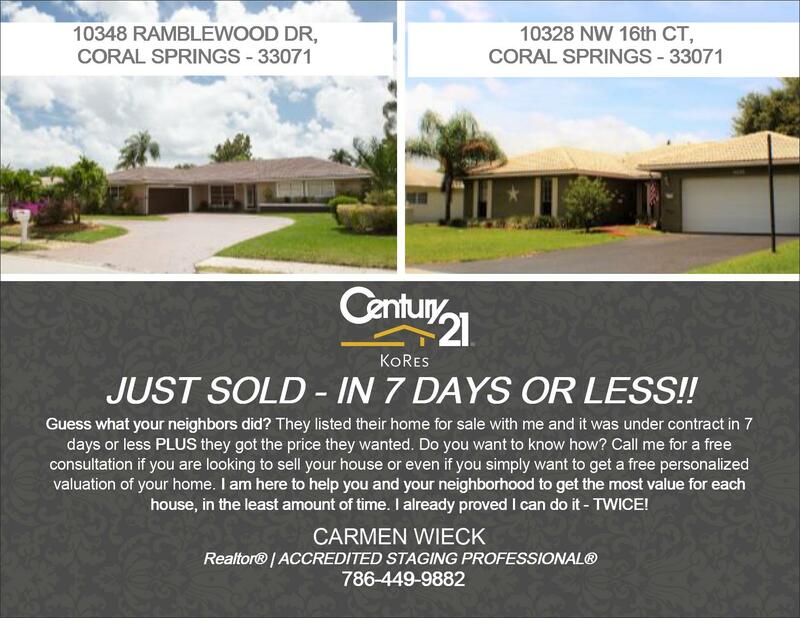 You can tell that this agent lists and sells quickly, and is asking you if you’d like to do the same. When people are sorting through their mail, many won’t take the time to read long phrasing, so this helps bring the point home in a way that doesn’t congest the card. When using just sold postcards, you have to show the homeowner that you understand their unique type of property. You wouldn’t send just sold photos of a condo to country homeowners, and you shouldn’t be sending expansive homes to apartment owners. 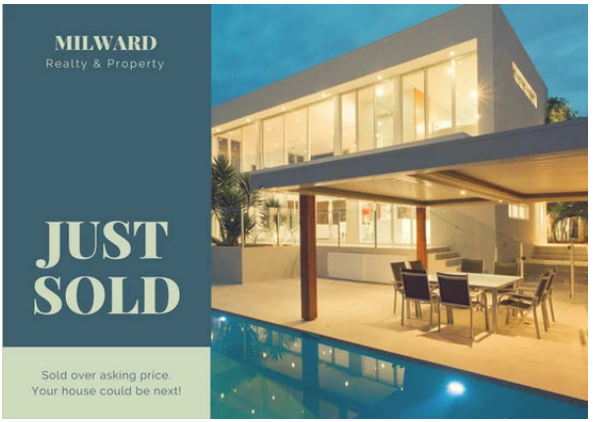 This just sold postcard works because it reflects the type of home they live in, and lends authority to your expertise in working with their specific type of property. As a bonus, you can use these types of postcards to specifically target buildings in your area, knowing that most other agents won’t be taking the time or trouble to go to this specificity in their farming strategy. The messages you select can help drive your leads, and combined with fantastic images, color, and style can make your postcards something people keep and respond to. Just sold postcards that blend in more easily get mixed into the mail and unnoticed. This yellow-green makes this just sold postcard stand out from the rest of the pile when a homeowner is sorting and helps them take notice. While not all just sold postcards require a pop of color, it certainly doesn’t hurt in getting the recipient to take the next step to read and consider it. Much like flyers or other print material, using color can get you noticed. We talk more about how to create business flyers and show you in great detail how to use color most effectively. 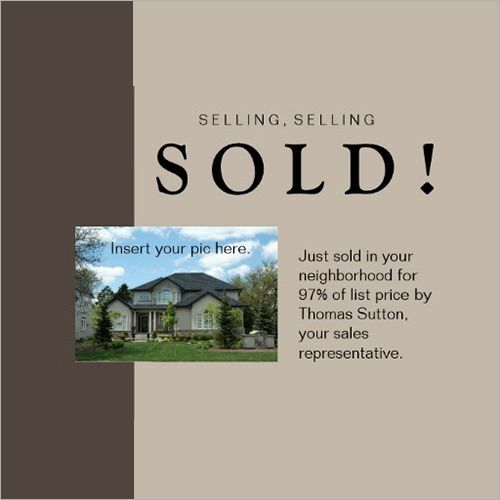 Just sold postcards are often a homeowner’s first introduction to you, so define yourself as the obvious expert. 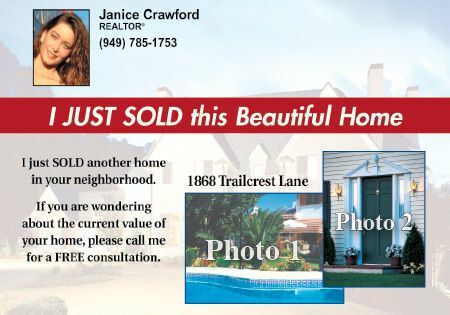 This just sold postcard gets it right by emphasizing not only her recent accomplishment but the fact that this is yet another home she’s sold in your area. If this real estate agent sells homes often in your area, it makes sense to most homeowners that she could do the same for them. Many homeowners would be thrilled if you could sell their home in less than three months, and that you’re willing to actually pay them if you don’t is a win-win all around. 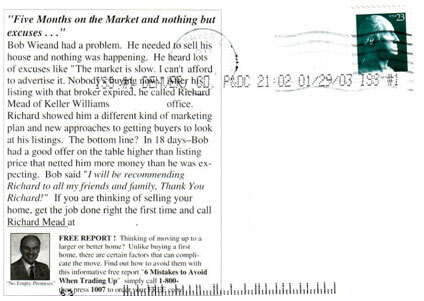 This just sold postcard works because it offers an interesting proposition, and certainly underscores that this agent has the confidence to get the job done. Confidence is often key to many areas of real estate, especially cold calling and door knocking, both which are often avoided or feared. If you’re one of those people who could use some additional tips in addressing these, here’s our top 16 door knocking tips and how the top producers do it. 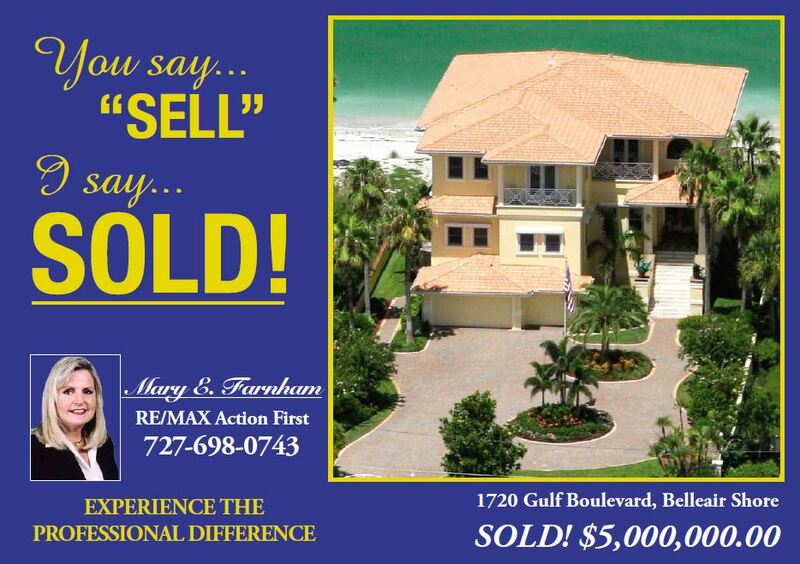 If you can capture the emotion of selling your home and moving to your dream location in your just sold postcards, it will have an impact. Homeowners are used to relatively sterile mail that is unemotional and simply a solicitation. This just sold postcard works because it evokes emotion, and anyone thinking of selling their home would likely love to feel this as well. This particular template is available through Vistaprint and be completely customized. 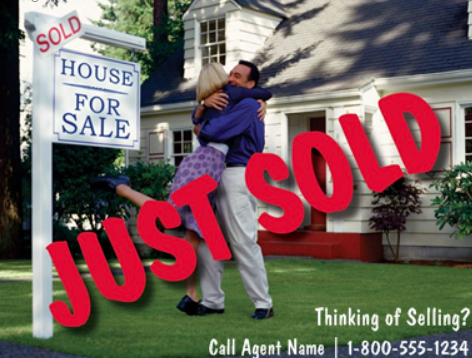 Many owners aren’t listing their home simply because they don’t feel it’s in the condition to sell or that it’s worth listing, and this postcard gives them a reason to pick up the phone. For homeowners who are struggling, just sold postcards like this can give them a way out of a bad situation, and offer hope that they can move to a better situation. Most homeowners are busy sorting their mail, and won’t stop to think about selling their home unless they’re prompted. Just sold postcards that include a prompt to sell can make an owner stop for a moment, consider the possibilities, and have that discussion. 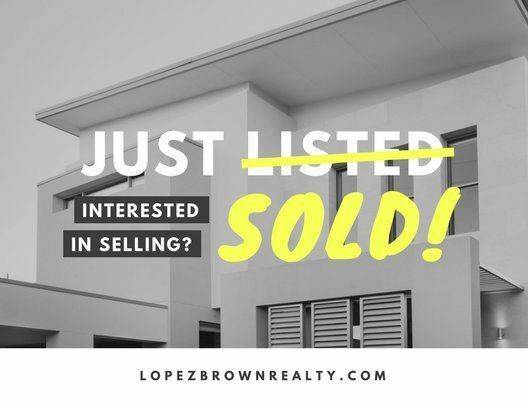 Sometimes all it takes is a well-placed prompt to get someone to consider moving to a location they’ve dreamed about and are now in the position to actualize. Your just sold postcards should always have purpose, and while they are advertising your skill set, have them do a bit of double duty. 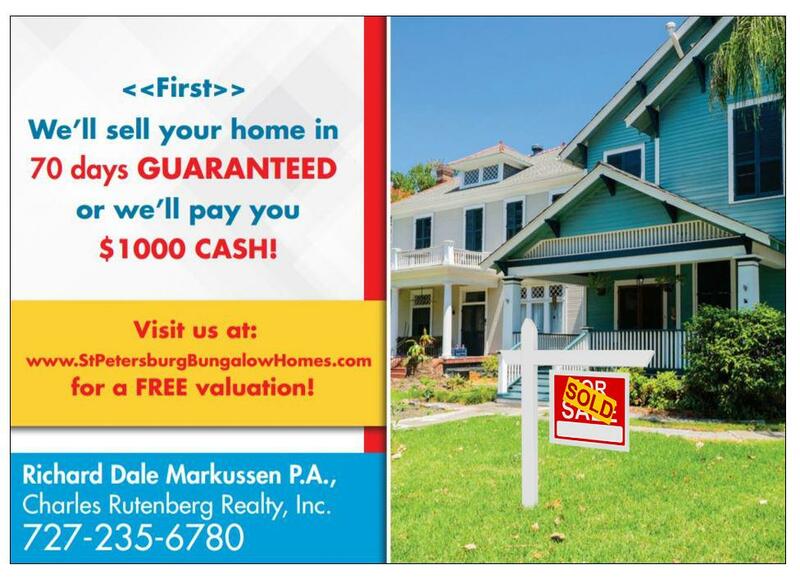 This just sold postcard works because it both promotes the agent’s skills and simultaneously asks for new clients. Customize this template at ProspectsPlus, and have your call out reflect your personality and unique style of selling. Not everyone can get a deal done for $5 million, but this agent can. 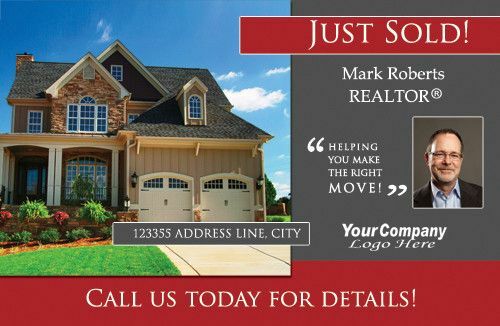 When using just sold postcards, it is a good idea in some markets is to list the selling price of the home. Clients who own similar homes will want to see that you have the skills to bring a buyer to properties of certain value, and be able to close the deal. Just sold postcards like this might seem simple, but to potential sellers they may well serve as verification of your skill set. 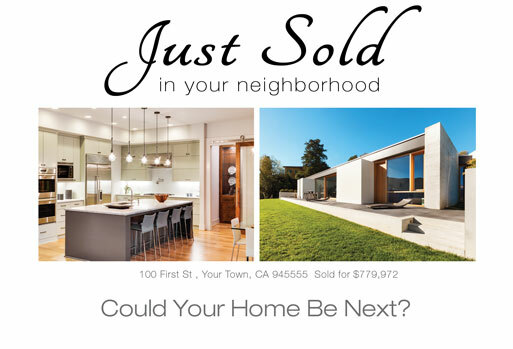 If the home you sold went for over the asking price, be sure to include that accomplishment in your just sold postcards. Every single person who lists their home wants it to sell higher than they anticipate, so be sure to highlight accomplishments like this. Fence sitters are often looking for reasons to stay or sell, and by underscoring your ability to snag a high price, it might be just the nudge they need to finally give the right agent a call. The reason inviting photography works in just sold postcards is multifaceted. First, it makes the properties that you represent look wonderful, but secondly, it allows others to get a glimpse into what type of properties you represent if they are looking to purchase. 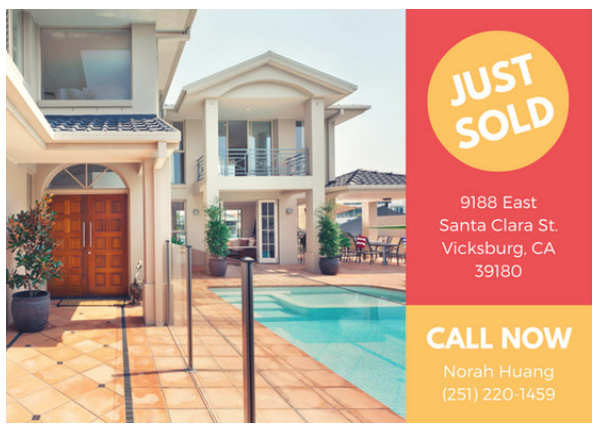 Often we think that just listing postcards are simply for getting listing appointments, but sometimes they actually bring buyers as well who are searching for the types of properties you represent. Here are our top 25 real estate photography tips and mistakes to avoid. 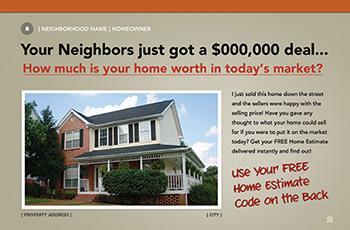 Keeping up with the Joneses is a real phenomenon, and these types of just sold postcards capitalize on that appeal. No one wants their neighbor to be getting something special, so isn’t it worth at least exploring if you could do the same? 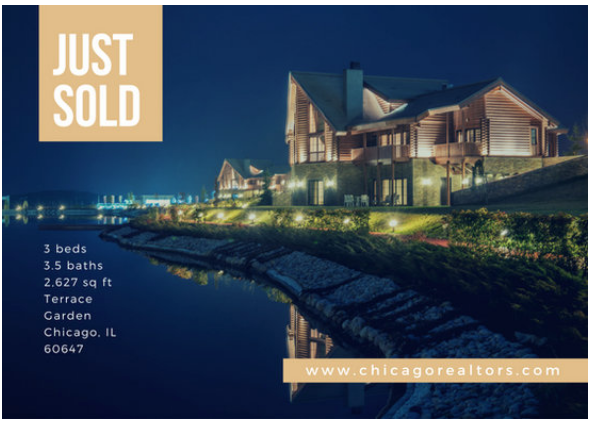 These types of real estate postcards can really inspire a potential home seller to at least inquire, and getting your foot in the door to a listing appointment pays for this card in spades. 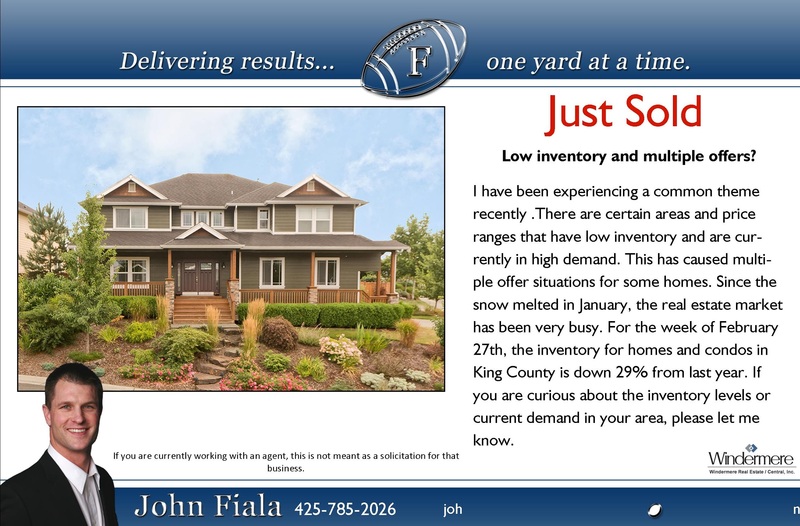 This postcard works because it both shows that there is movement in the neighborhood and underscores the possibility that your home could be getting the same prices as those recently sold. The big red call out at the top to make them inquire gives the recipient an easy method to explore their options and is also an open door to a listing appointment. Just sold postcards are traditionally to get listing appointments, but with a property like this, showing it off might bring you some listings and more excited buyers looking for their dream property. Listing the details of the home, along with a photograph highlighting the key elements of the property (in this case, waterfront with views), you can see how it might inspire someone to want to pack their bags and upgrade their lifestyle. Including your image on just sold postcards can lend a personal feel to the card that can make some people more likely to reach out. While it’s always better to have a photo than to not include one, the benefit of using your personal image on the postcard is especially great if you live in a small town or rural area. In those areas, it’s not uncommon for people to recognize you. This card was created by using ProspectsPlus, which has a number of just sold postcard templates. The best referral networks are always from your circle of influence, so remind your community who you are and what you do by using your image on the front. 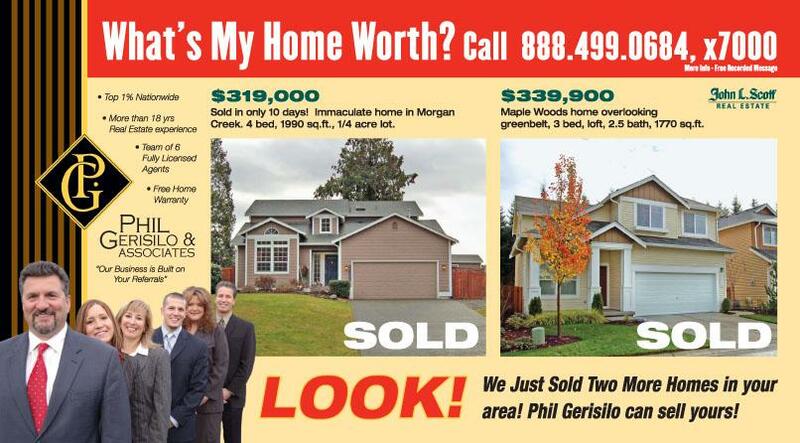 This just sold postcard offers a no obligation evaluation on your property. For some homeowners thinking about selling, getting a free opinion on what their house could command and a professional opinion might just be the tipping point to listing. Putting in a free offer from a home evaluation to even a first-time homeowner workshop can be a wonderful way to bring in leads. Sometimes it’s the simplest things that make you stick in someone’s mind, and a catchphrase can be just that thing on your just sold postcards. Is it a bit corny? Yes, but that is often why it works. 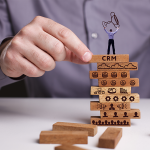 Think of all the product jingles you remember in your head and you’ll quickly be reminded that it’s sometimes the fun and quirky things that stick when others don’t. Keeping top of mind is one of the most important elements of sending a just sold postcard, so if you’ve got a catchphrase that you don’t mind using, there might be some benefit to sharing it on your postcard. If you’d like to develop your own catchphrase and see those that others have used, our guide to real estate slogans and taglines is here to help. 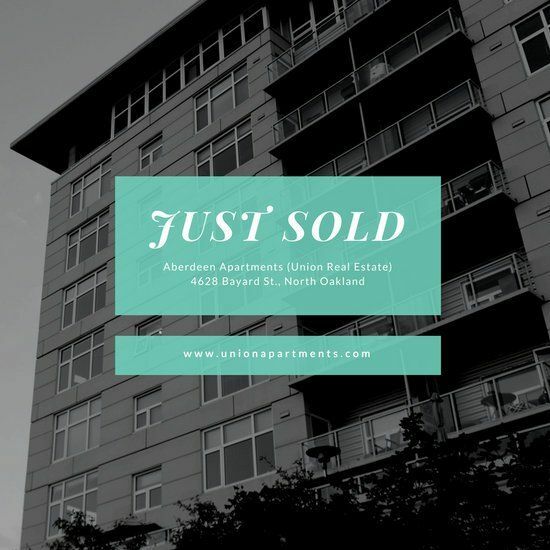 This just sold postcard works because it gives the recipient real information about the market in their neighborhood and establishes this agent as a local expert. This might appeal to a specific type of seller who is waiting for the market to get them top dollar and has a choice on when to sell their home. For example, someone who is downsizing can often wait until the market is at an optimum place for them to sell, and might be tempted to give the agent a call after reading this. This may be the flip side of a just sold postcard, but it is certainly compelling. 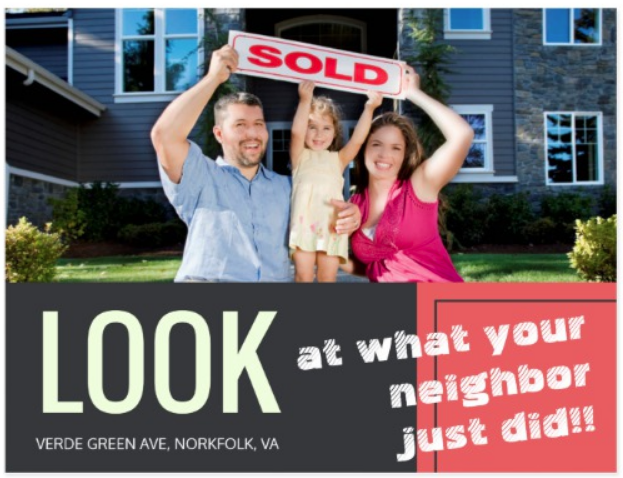 While often the backs of just sold postcards are used for traditional marketing materials, this agent decided to place a heartfelt testimonial. Many people get their real estate agent reviews from neighbors, friends or family, so why not include one on your postcard? Many people trust Yelp reviews for their physicians and restaurant choices, and a personal story can often help people take the next step in contacting you as an agent. While it doesn’t overwhelm the postcard, this agent does a wonderful job giving the recipient a number of options to contact her. Phone, email and her personal website are all featured right on the front of her card. 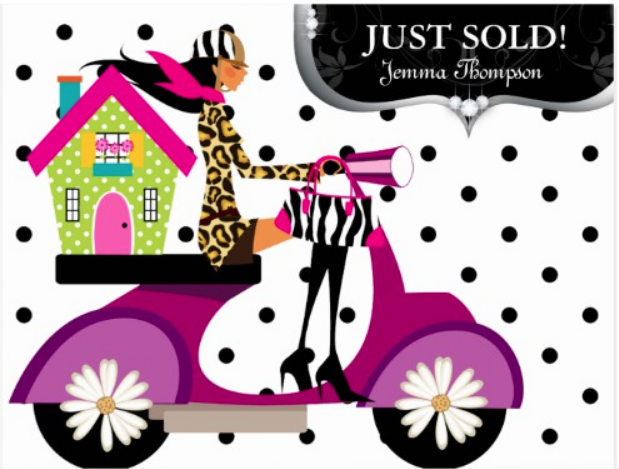 Her just sold postcard makes apparent that she has sold a number of properties in the area, and by giving easy options that fill any preference, it may inspire some to send a casual email or check out her site to see what else she’s got for sale. With permission of course, you can feature recent clients on your just sold postcard the same way that many feature them in their Instagram posts. While not as common of a strategy, seeing a photo of your neighbor certainly gets your attention and makes just sold postcards more personal. If you wish to use stock photos, that certainly can work as well, but there is little more attention-getting than unexpectedly seeing someone you know. This just sold postcard almost appears as if it’s a card for a special occasion. Quirky and fun just sold postcards can be used at any time of year. These types of postcards work because they don’t appear as a typical solicitation, they get attention, and they allow people to explore further what they’re about. Use your creativity to create just sold postcards that integrate your own personality, and if you’re not feeling particularly inspired, use common themes people may relate to during the football season, holidays, or other times of year when people expect a bit of whimsy. 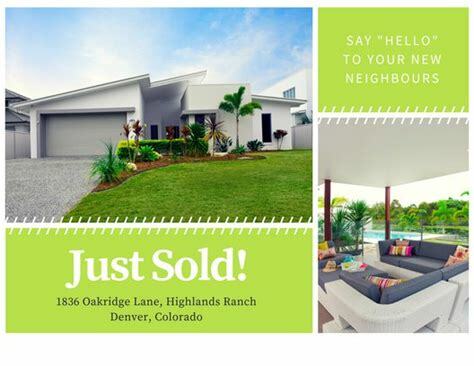 Just sold postcards can be a creative and effective way of showing off your recent transactions, attracting new listing clients and luring potential buyers. While our tips show how many have used images, presentation, and just sold postcards wording to make their cards stand out from the crowd, we encourage you to create your own using templates you can customize. While we love ProspectsPlus for their great templates, easy customization and shipping options, feel free to explore templates that work best for you. I think the property address should never be included on the postcard (for privacy and security reasons). In my view, this is how you show respect for the privacy of the people who bought the property. I don’t agree. Sales prices are public information so I very highly doubt a new owner would balk at the neighbors knowing what they paid for their home.